It is probably fair to say that health practitioners are not drawn to their profession because they want to write clinical records, and TCM practitioners are no exception. Writing up notes is time consuming and often feels like it is getting in the way of doing the ‘real work’ of treating patients. The reality is that good record keeping is as much a part of an effective TCM practitioner’s role as inserting needles. Why take comprehensive clinical notes? Comprehensive clinical notes are important for clinical reasoning, to meet professional and funder expectations, and to inform communication with other health professionals. There are a number of ways that disciplined note taking can affect clinical reasoning. Writing detailed notes demands thorough questioning, which in turn can lead to the discovery of important information that may not otherwise have come to light, including possible red flags. When undertaking follow-up treatments, access to the correct information makes it much easier to know what questions to ask and maintains continuity of goals and treatment. Many TCM practitioners work with other clinicians. If, from a patient’s notes, other clinicians can easily comprehend the background to the patient’s condition, and the previous practitioner’s diagnosis, treatment rationale and strategy, then there is less likely to be confusion and more likely to be better collaboration within the team. Registered acupuncturists are expected to meet the same requirements as other medical professionals. While the piece was written for general practitioners, the principles apply equally to TCM practitioners. It is important to note that, in regard to clinical records, often what is not written is just as important as what is. Clinical notes inform communication with other health professionals. Whether writing a progress letter to a patient’s GP, or a referral letter to another practitioner, if the patient’s records are lacking, it is hard to provide the appropriate information. What should clinical notes contain? A common approach to organising clinical notes is SOAP notes. SOAP stands for Subjective Objective Assessment Plan. Subjective is the patient’s story. This includes their complaint, history, and symptoms. Objective is the practitioner’s story. This section includes measureable elements, such as range of motion; objective instruments, such as the PHQ-9 depression test; and general observations made by the practitioner, ranging from the demeanor of the patient to the results of palpation. Assessment is the patient’s differential diagnosis. Plan includes the treatment strategy and the treatment itself. In theory it is perfectly possible to include all of the information in a SOAP note in a single block of text. In practice it can be useful to separate the sections, as this makes it easier to find specific data, and can help prompt the clinician to enter the relevant information. A SOAP note is a simple example of structured notes. Notes are recorded in a form, with key information held in discrete fields. Structured notes can have distinct advantages, including reduced writing; headings that prompt you to record important information and organise your thinking; ease in finding key points from the consultation record; and the ability to undertake more useful data analysis. The main disadvantages of structured notes are the lack of flexibility and dependence on the design of the form. A poorly designed form can leave the practitioner searching for the right box to fill out, or writing information in the wrong place. Another problem is fitting everything onto a form, as fields that may not be used still take up space. One way to circumvent this is to use a computerised system. A computerised form can be much larger than a paper one because it doesn’t have to fit on a page. Electronic notes have other advantages too – notes don’t take up space in the clinic and sheets of paper don’t fall out of folders and get lost. Depending on the system, notes can also be much easier to search and they can be integrated with other systems, such as HealthLink and ACC billing. Some practitioners don’t like EMR systems because they feel that typing on a computer detracts from the quality of interaction with their patient. Many also find that systems available do not meet the needs of their profession, as they are designed for a particular modality. A few are more general and allow significant customisation by the clinician, but this can present other challenges, as few clinicians have the time or inclination to create the necessary content. Time saving tools in some EMR systems can also make it very easy to take inaccurate notes. The most obvious examples are systems that automatically pre-populate follow-up records with previously entered data, or provide for the insertion of large bodies of text with a keystroke, using macros. In both cases, the practitioner should be editing the preloaded text to make it accurate. It is very easy to leave in inaccuracies if this isn’t done. Many older EMR systems run on locally installed software. Limitations of this include the necessity of managing backups and that the practitioner needs to be in the clinic to access their notes. More modern systems are typically cloud-based, meaning the data is stored centrally. This adds flexibility, as notes can be accessed from anywhere with an internet connection, and potentially from mobile devices. Backups are managed by the provider. Cloud-based systems do need to be chosen carefully though. In conclusion, taking comprehensive clinical notes is an important part of clinical practice. They influence clincal reasoning, demonstrate compliance, and inform communication with other health providers. Structured note taking has significant advantages, though form design is important and form content needs to be tailored to the profession of the practitioner to be useful. Similarly, electronic medical record systems can offer big advantages over paper records, but they only come into their own when the system is designed for the profession of the clinician using it. Care also needs to be taken with EMR to ensure that inaccurate information isn’t entered by mistake through pre-population of forms or macros. Cloud-based EMR systems offer greater flexibility but care needs to be taken to check that the system is compliant with MOH security requirements. Scott Pearson is currently CEO and Founder of the cloud-based EMR provider, Noted Limited. 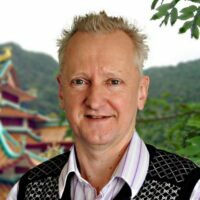 Before Noted, Scott was a founder of the Newtown Acupuncture Centre in Wellington and registered acupuncturist. 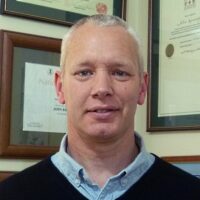 He remains passionate about TCM and takes every opportunity to promote the profession. Prior to his clinical career, Scott was co-founder and CEO of a character animation software company. Scott successfully sold this company to a US acquirer in 2006. He was nominated for an Emmy in 2003 – one of the many highlights of a 16 year career in computer animation and broadcast graphics. Ron Paterson. NZ Doctor. 2005 May 4. [Internet]. 2005 May 4 [cited 2017 May 3]. Medical Council of New Good Medical Practice. 2016 December [cited 2017 May 3]. Accident Compensation Corporation. ACC Guidelines – Treatment Provider Handbook. [Internet]. 2016 [cited 2017 May 3]. Ministry of Health. HISO 10029:2015 Health Information Security Framework. 2015 December 9 [cited 2017 May 3]. Ministry of Health. Ministry Updates Cloud Computing Policy. 2017 April 28 [cited 2017 May 3].